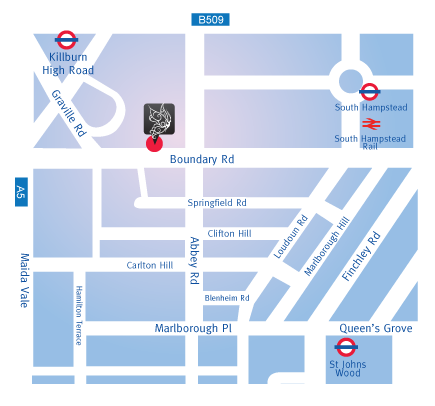 Smile Cliniq is pleased to announce that we have opened a new dental practice on Boundary Lane, next to the famous Abbey Road, in St John’s Wood. Founders of Smile Cliniq, Dr Chetan Kaher and Dr Sarita Kotecha, wish to offer the residents around Abbey Road state of the art, cutting edge dental treatments developed under modern technology and research. Smile Cliniq in Abbey Road offers dental treatment in both general and cosmetic dentistry, including white fillings, crowns, veneers, implants, dentures, Inman Aligner, Invisalign (clear braces), and tooth whitening. Smile Cliniq takes pride in the quality of treatments that are offered, which focuses on functionality, longevity, and cosmetic appearance to give a beautiful natural smile. Smile Cliniq has been awarded Best Dental Practice London, and Best Dentist London and UK by the Dentistry Awards. A case using Inman Aligner removable braces, and another consisting of implants and crowns has also been short-listed for the Smile Awards. The team at Smile Cliniq in Abbey Road understand that it can be difficult to visit a new dentist, especially for those with dental phobia. That’s why we welcome all patients to come and visit, and have a talk to the dentists before commencing treatment. Here, patients can express concerns and desires for their perfect smile, and treatments are only performed once patient is happy to go ahead. Advice given takes into consideration how the patient will benefit from having treatment, and in no circumstances is the patient forced to have any treatment if they are not 100% positive. When you enter Smile Cliniq Dental Practice in Abbey Road, you will always be greeted with a friendly smile, and we will do our best to make your visit as comfortable as possible. More information about the treatments we offer is on our user-friendly website, www.smilecliniq.com. Why not read up about root canal treatment, or what the procedures are to have a crown made and fitted.